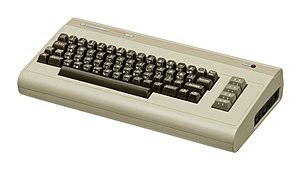 The Commodore 64 wis ane o the maist popular microcomputers o its era, an is the best-sellin model o home computer o aw time. A microcomputer is a smaa, relatively inexpensive computer wi a microprocessor as its central processin unit (CPU). ↑ Kahney, Leander (2003-09-09). "Grandiose Price for a Modest PC". Wired. Lycos. Retrieved 2006-10-25. This page wis last eeditit on 17 Februar 2017, at 00:43.